Product prices and availability are accurate as of 2019-04-16 01:53:17 EDT and are subject to change. Any price and availability information displayed on http://www.amazon.com/ at the time of purchase will apply to the purchase of this product. 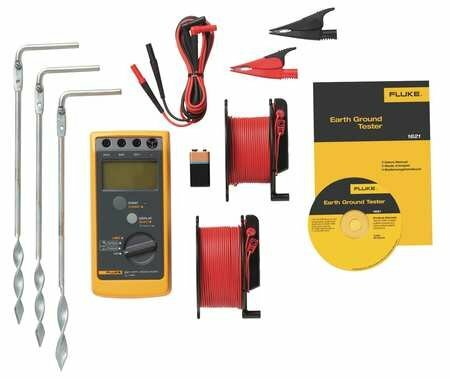 The Fluke 1621 Kit includes the Fluke 1621 Earth Ground Tester, as well as cables and earth ground stakes. The Fluke 1621 is an easy-to-use earth ground tester. 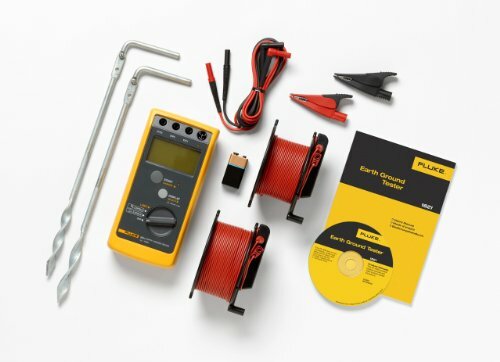 For ground resistance testing, the 1621 is the first line of defense in detecting reliable ground connections. The unit features basic ground testing methods including 3-pole Fall-of-Potential as well as 2-pole ground resistance tests. 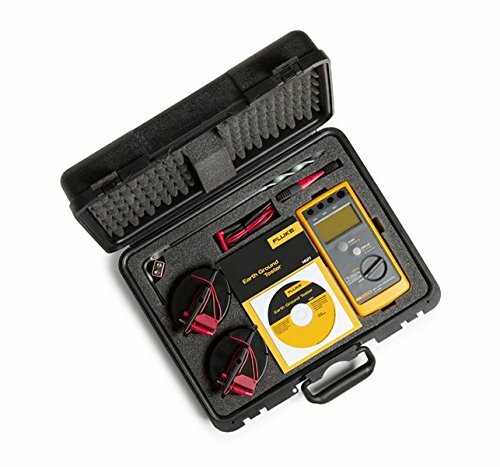 Its convenient size, rugged holster, and large, clear LCD display make it an ideal field earth ground tester, for most electrical grounding work environments. 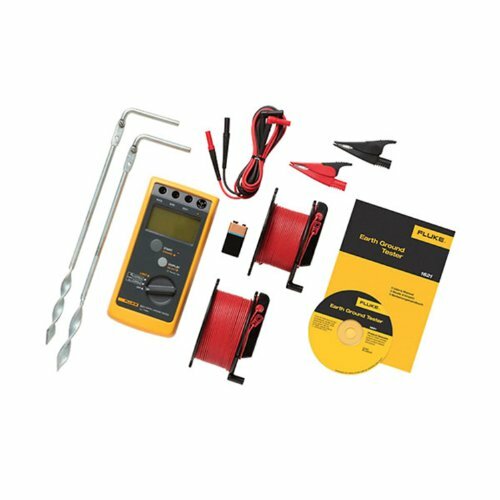 With a simple user interface and intuitive functionality, the Fluke 1621 is a handy grounding tool for electrical contractors, utility test engineers, and earth ground specialists. Clearly read and record data with a large, backlit display. Rugged holster and design for tough work environments. Portable size allows for easy transportation. Instantly be alerted to measurements outside of your set limit, when you use the adjustable limit setting. 600 V Cat II.